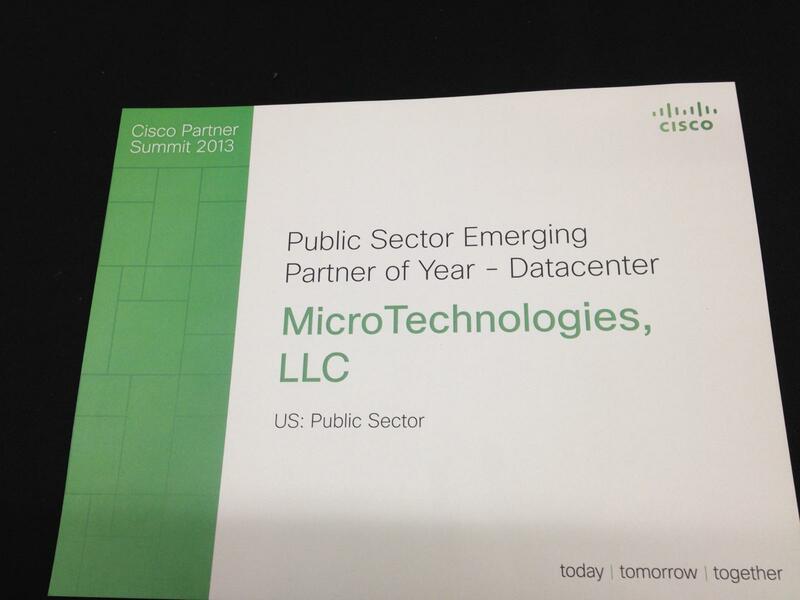 TYSONS CORNER, Va. –June 5, 2012— The largest Hispanic-Owned IT Integrator in the U.S., MicroTech, was awarded the Public Sector Emerging Partner of the Year Award for Data Center Architecture at the Cisco Partner Summit yesterday. MicroTech, a Cisco Gold Partner, won the title for its Cloud Automated Advanced Virtual Environment solution during the three-day invitation-only event. MicroTech’s Advanced Virtual Environment solution is a part of the company’s MicroKloud family of highly-customizable and scalable private cloud offerings. The associated products, like the MicroPodd®, facilitate data center consolidation, physical and virtual resource management, existing application rationalization, migration, hosting, and disaster recovery. 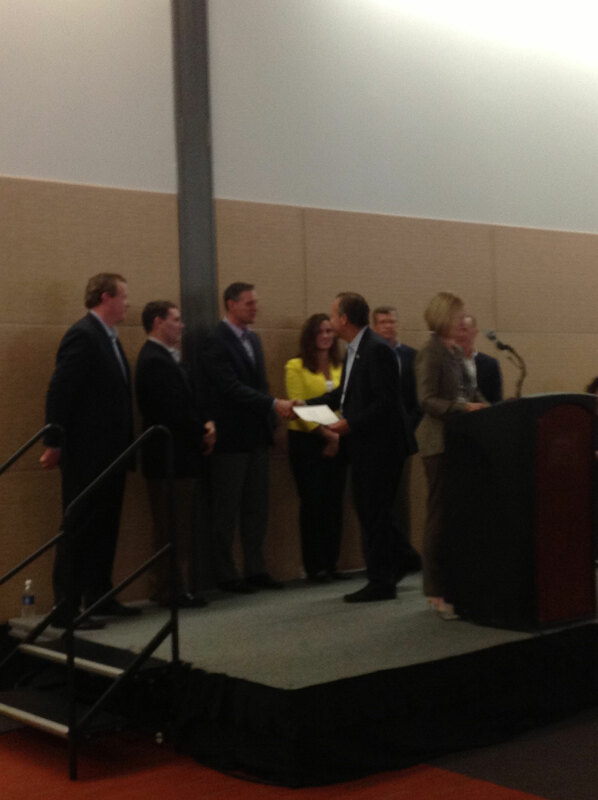 Jimenez is attending the Summit at the Boston Convention & Exhibition Center in Massachusetts with Vice President of Channels & Alliances, Scott Kaye; Vice President of Consulting Services, Ramprasad Venkat; and Alliances & Channel Relations Manager, Aleya Bartis. MicroTech was recently re-certified as a Gold Partner achieving competency in the Data Center Specialization, Borderless, and Collaboration Architectures. MicroTech provides Technology Services, Network Systems Integration, Product Solutions, Cloud Computing, Unified Communications & Collaboration, Cyber Security, Mobility, Big Data Solutions, Financial Services, as well as leadership/management skills courses, business simulations and vital industry certifications as part of MicroTech University to commercial enterprises, along with the public sector - managing more than half-a-million technology users daily. A prime contractor of over 100 Federal projects and more-than-25 procurement vehicles, MicroTech offers access to 2500 vendors and a million technology products and services across the government. The summit is a forum for Cisco to share its vision for the next year and beyond. The event offers numerous networking opportunities, business leadership development, and channel strategy sessions for its partners as well as providing up-to-the-minute technology news. Follow the conversation on Twitter #ciscops13.